Inoffensive, not in a bad sense just a bit simple. light in complexity and finish. Might be a gateway bourbon for people trying to develop a taste for brown spirits. 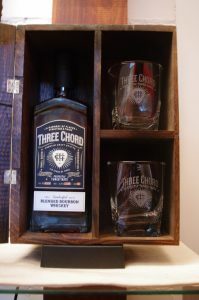 Three Cord Bourbon is an interesting product. It is a blended bourbon conceived by Neil Giraldo a fairly famous musician and produced by Steel Bending Spirits in Ann Arbor Michigan. The bourbon itself is a blend of 4 to 12-year-old bourbons sourced from Kentucky and Tennesee (read George Dickel). They use Missouri Ozark sourced American Oak for their charred bourbon barrels. They go on about their trademarked (please note trademarked not patented for you legalese nit pickers.which is a “tonal vibration process to finish the blend and extract additional caramel.vanilla. and maple notes from the barrel”. They call it “Perfectly Tuned Taste”. While maybe not totally unique in the industry ( Hudson River uses speakers to agitate their barrels, Siembra Azul uses classical music to gently influence the tequila while resting) it is a worthy concept and can yield interesting and nuanced results. I think the word blended is an unfortunate term – at least on the label. 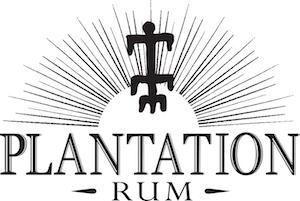 While almost all bourbons are a blend ( except for special releases and single barrel releases), the term blended usually denoted something that used grain alcohol as a cheap adjunct and is not well regarded- in short, a poor choice of words. Otherwise, I have to definitely say this is one of the more carefully produced whiskeys I have ever seen, especially in terms of packaging and presentation. Nobody has put this much thought into product presentation (certainly at this price level anyway). The whiskey comes in a handsome box made from recycled wood, magnetic closure, and two old-fashioned glasses, all wrapped in an old gold toned wrapping paper with gold wax seals. The boxes were made by Michigan-based Woodward Throwbacks Reclaimed Wood Working There was also an informational hand out in a heavy kraft paper type envelope with a resealable string closure and even a fairly neat paper clip. Altogether a package designed to impress with incredible attention to detail and presentation. While this is, unfortunately, a limited presentation piece it does reflect their attention to detail – a quality that does carry over to the production of their whiskey. 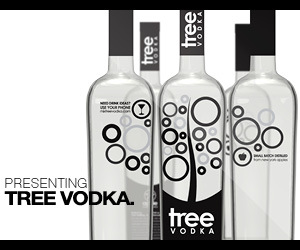 Steel Bending Spirits will also be coming out with a Reserve Bourbon, Vodka, and other spirits in the near future. We look forward to them as well. Notes: While this an outsourced whiskey we see nothing wrong with that as long as people clearly state that and they pick decent whiskeys. Appearance: Clear yellow/red with some decent color to it. Shows a bit of promise. Taste: No surprises, vanilla, grain notes, mint, char, and dark fruit compote with some diacetyl notes. Somewhat young and light overall but no barrel bite or over oaking from small barrels. Drinks: Makes lighter, shall we say uncomplicated versions of all the classics. Bottle: Attractive somewhat brick shape with rounded top corners and slightly sloping shoulder to it.Bright clear glass with decanter type bottom. Easy to grip if the neck is a bit short.Two-piece front label with raised, embossed type printing and attractive graphics and color scheme. Flat black neck capsule surrounding a composite cork topped with a dyed black wooden top. My bet is they used the design teams from the music business to produce this package- looks much better than a lot of other startups attempts. Other: If they had put the same level of talent that they put into the packaging and marketing into the actual contents and blending, they would have a real contender. Final Thoughts: A decent blended bourbon overall, smoother and less harsh than a number of other blends by smaller producers. While I am not a particular fan I think it could be a good starter bourbon for those seeking a lighter style but smooth. A lot of cheaper brands tend to be harsh and off-putting, this is rather mild and unintimidating. an illustration of this would be to use the analogy of Comparing better, but lighter bodied Scotch blends, vs. Single malts. You can’t start at the deep end of a spectrum. The ratings are a reflection of the overall bourbon whiskey category so are a touch lower due to the price and overall complexity. If you are looking for a starter bourbon this is a good choice, More seasoned ( not to say possibly jaded ) palates will not be imressed but that may not be the point of this whiskey.